We all know that a spinning top always provides an enjoyable experience for kids. Maybe it’s the elegant & graceful hypnotic movement, or maybe just the challenge of seeing how long it’s going to last. Whatever the case is, ForeverSpin Tops makes top spinning just a little bit better with its exceptional design. Each of the tops they make are designed with precision balance which makes them last for up to minutes if launched properly. If you are a little bit competitive and want to get even longer spin times, get your hands on the “Spinning Base”, which unfortunately is sold separately. It’s a disc that is designed with an awesomely-smooth surface area for unequaled spin time! 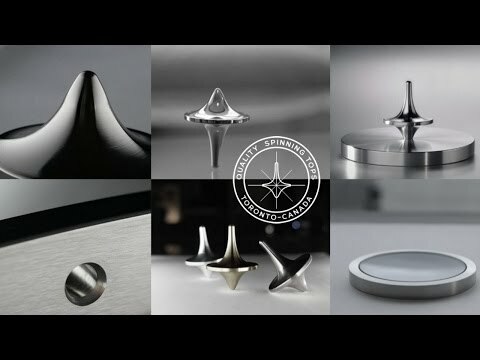 Maybe the ForeverSpin Spinning Top Is Not For You? If that’s the case, visit our Shop for other great cool crafts that our ThinkTank has come up with.